12 oz. 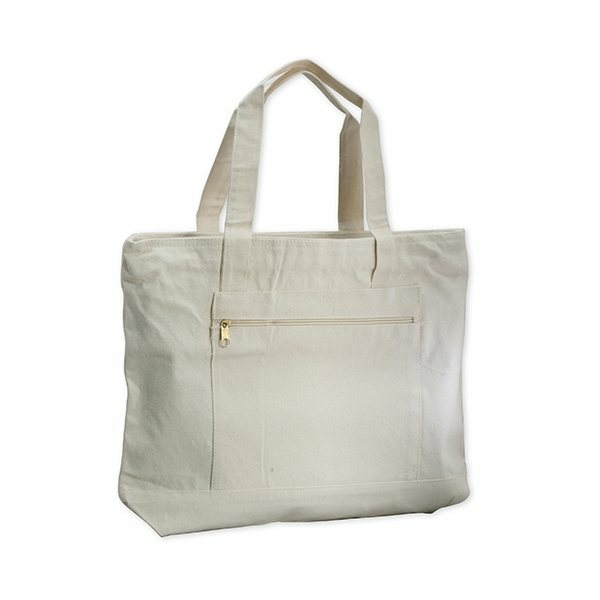 cotton canvas boat tote with large zippered main compartment and zippered outer pocket and 24" handles. I just want to say how good Rosa was with working with me. we will order more when we run out of these. We were certainly impressed with the design and excellence of it, and we were impressed using the cost. they are a great size and you can't miss seeing them from a distance. These fans are not flimsy like some others - they are made from heavier weight stock so will last even if used all day long. Very neatly done! The totes are strong and spacious, precisely what a lot of authors need. Amazing number of books you are able to carry during these totes. Product seems to be well constructed. Plenty of storage space for items. Easy to access storage compartments. the price is great. I ordered this product for a roller derby league I belong too, so cost is very important for us.